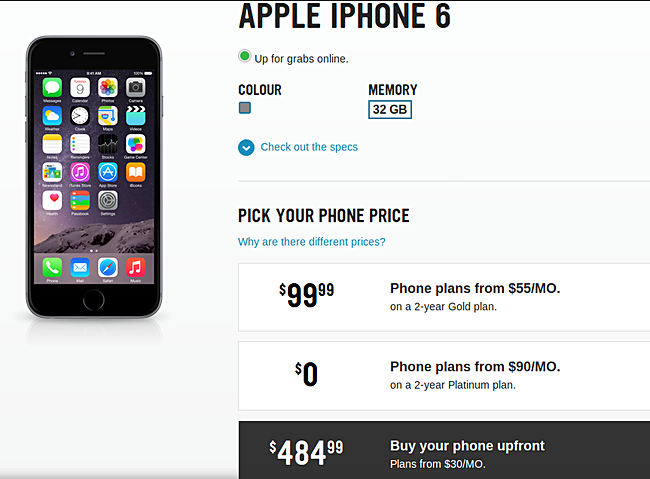 As expected, the 32GB variant of the iPhone 6 is now available for purchase in Canada. Several local carriers are currently offering the model in the country, including Bell, Virgin Mobile, and Koodo. All three carriers are offering the phone for CAD 485 outright, or US$375. Of course, the handset can also be purchased on a regular, 2-year contract. The model is already available in certain Asian markets (including India), Belarus, as well as the UK.